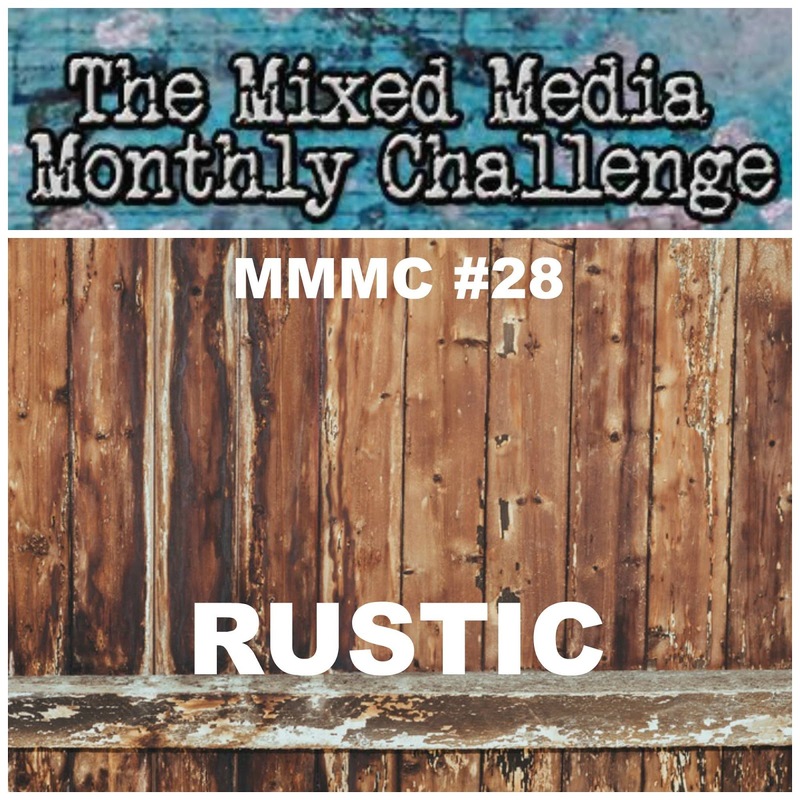 The theme this month over at The Mixed Media Monthly Challenge is "Rustic." The design team were all sent very generous goodie boxes from our sponsor Canvas Corp Brands. Some of us had so much stuff we decided to make another project. 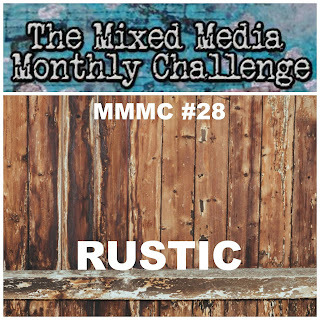 So be sure to check the blog for some more amazing "Rustic" inspiration. Then, come play with us. Our random winner will get a $25 Canvas Corp Brand gift certificate. 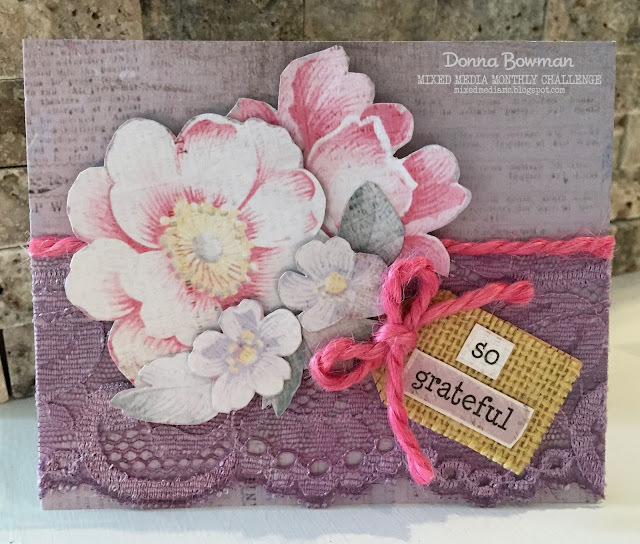 I made a card using some beautiful 7Gypsies papers. I cut some flowers from the paper and adhered them with pop dots. I used my CCB lace by cutting it in half and dyeing it with my Tattered Angels Shimmer Mist. I cut some of my CCB yellow burlap into the shape of a tag and used words from my 7Gypsies paper. Finally, I created a bow with their pink twine, which I am totally in love with! !